Having healthy gums is essential to having a healthy overall smile, and many people are not aware of that fact. It takes more than having straight, bright teeth to signify that your smile is healthy, and beautiful pink gums are essential to healthy teeth. Though many people suffer from gum disease, many are not aware of it, and live life having a deteriorating smile. Thankfully, Dr. Gary Klugman and Dr. Christina Bianco are able to restore the health of your gums using gum disease therapy at their Salinas, CA dental office. Along with being bad for your oral health, suffering from gum disease can also be detrimental to your overall health. If you do not take care of you gum disease, you put yourself at a higher risk of bone loss, tooth loss, bad breath, heart disease, stroke, dementia, and much more. If you are not sure whether or not you are living with gum disease, a few symptoms include gums that bleed when you brush or floss, red and swollen gums, discoloration of the gum tissue, and gums that are sensitive to the touch. If you are experiencing these symptoms, it is imperative that you contact our doctors right away. 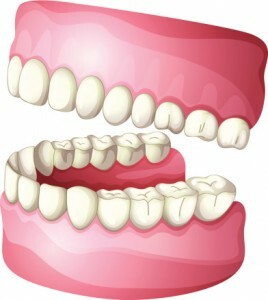 One way we are able to treat your gum disease is with scaling. By doing this, we are able to remove the bacterium that attacks your gum tissue from below the surface. We will also do root planing, which means we will smooth out the rough areas of your tooth’s root that have been affected by the bacteria in your smile. We will also take time to reinforce healthy oral care routines, as to make sure your smile stays healthy for as long as possible. If you would like our doctors to help you with your gum disease, contact our office today!